It’s Time D-Heads! There is a chill in the air, the lights are dim and the Halloween Season is upon us! This week we kick off our Not-So-Scary Halloween Month Long Celebration and what better way to do it than to open the doors for the Boogie Man himself! 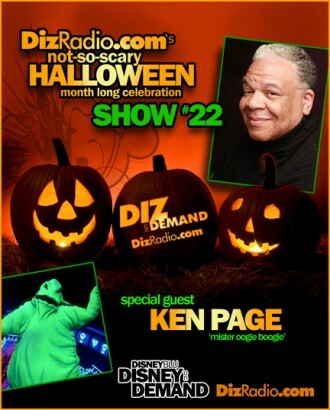 KEN PAGE the voice of Oogie Boogie from The Nightmare Before Christmas is stopping in to the program this week! Ken is going to discuss his career, just how did he come up with Oogie’s voice, doing parades and park voice overs and more! 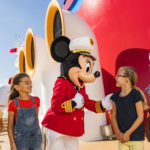 In addition the D-Team is back with Lexie, our D-Team Member from down under covering the career, voice talent and history of our guest Ken Page. Tony is here with the Top Things you Didn’t Know About, and Jason returns digging into the Vault with a new Blu-Ray and DVD for you. 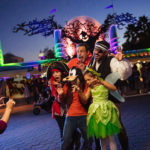 We have some Spooky, Scary Disney Halloween News to cover, some park tidbits and a way for you D-Heads to get some goodies from us. So as we get ready for our Halloween Celebration here, don’t let the Boogie Man Scare you! So Put on Your Ears, Give it a Little Bibbidi Bobbidi Boo, and get ready to Relive the Magic, Memories and Appreciation from Your Lifetime of Disney with DisneyBlu’s Disney on Demand!